Over the past 20 years in tourism for me in Ireland, the ideas have poured through from all four provinces and beyond to come up with a new idea or a better idea about how to deliver the perfect product in Ireland. 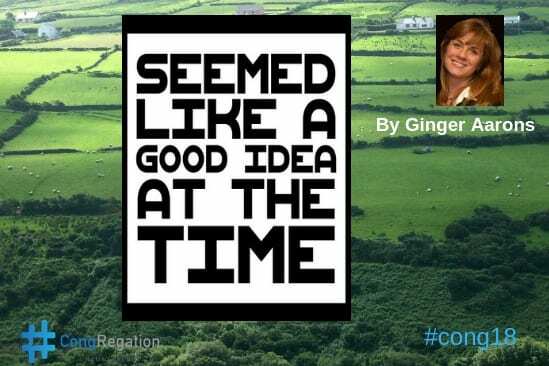 So, what happens to all those great ideas when the Irish invention of chasing the next big story or product idea for the Island takes hold and your great idea is left in the dust? Ideas, Ideas, Ideas … let’s make it 4 .. Ideas! Should I stay or should I go now? 20 Years on …. what’s the new idea? 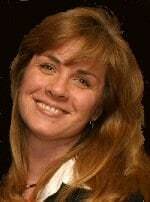 Ginger is the founder of Time Travel, LLC … often called Time Travel Tours. She offers bespoke travel to Ireland & The British Isles. Passionate about what she does by offering a way to learn while you travel, introducing the best of the best in Ireland in what they do, offer and teach with common philosophies, ethics and goals for the world. She is also a travel and foodie writer for several magazines and online magazines as well as my own blog offered up in service on my website. Often referred to as the one that knows everyone, she is a connector and one that is always making a connection for someone, because to her, that is what it’s all about. Originally from South of the Mason Dixon Line, and after 30 years, she has become an all around Portland girl that loves the fact that she gets to live and work in two of the best places in the world, the Pacific Northwest and Ireland … what could possibly be better? Lover of music (it DOES make the world go ’round.. not money), supporter of the arts, do gooder, Masterpiece Theater watcher since the age of 12, supporter of the historic house, genealogy nut and avid antique collector. You can connect with Ginger on LinkedIn, Facebook, Twitter, Instagram , Time Travel Tour or you can email her. I’m one of those people that has an endless supply of ideas. I’m never lacking for one and while this is a great thing to many people, at times it can be paralyzing. Over the years that I’ve been doing tours in Ireland, I have heard many great ideas. Some of them have stuck around and some haven’t, but in my 20-year review this year and reflection on the ideas that have stuck for offering the best of the best that Ireland has to offer, I have found that we have changed the way people see Ireland. I’m not sure it is a great idea! People now travel in droves around the country in whirlwind trips that stuff every great idea in Ireland into 2 weeks or less. When I first started doing genealogy tours (1998) it was a great idea! I was ahead of the curve. When it became popular, we encountered things like the Certificate of Irish Heritage back in 2011 and that was defunct by 2015. Great idea? Perhaps, but not done for the right reasons. As I went through my tourism view of the past 20 years, I also encountered thoughts on the ideas I have had to boost tourism and my bottom line. Some were met with support and others with support with strings attached. How could I possibly walk into the National Library with a group of 25 looking for their ancestors? Bad idea!! Great product! So, how do you keep your hope afloat? Having a proven track record helps. Keeping up your own good ideas without succumbing to the need to reinvent what already sells or already provides an excellent experience because someone else deems it so. I find that when I take the wheel and steer, fear dissipates, and I no longer feel the need to compete with the latest idea. But I can support those latest ideas of others. One, by offering the client something unique to see and two, by offering an experience in travel, one that makes you slow down, get to know an area and giving that extra care to the provider as well, that wants their idea to be heard, spread and cherished as it grows. Not to be the last checked off thing on someone’s bucket list. The latest idea? Food for thought after a career spanning 30 years. What’s in store? I have plenty of ideas, but which one will win out? Mine goes to the person that always seems to give me the most inspiration and keeps my hope afloat? Richard Branson. He has a test of two components.